This is just to say that since using your products on our cars, how pleased we are with the finish. Unbelieveable!. We have used other leading products previously, but they did not produce the same finish. One of our cars is a new Black BMW which has been treated with your paint protection system and I am over the moon with the finish. Thank you for my order, which arrived yesterday at 10am, it was almost as quick as coming to Norfolk to pick it up, Amazing Speed! I was most impressed with the synthetic chamois, I have tried a few in my time, but this one is excellent and does not go all mushy when full of water. The Eradicator cleaning block is incredible, I cleaned my UPVc back door and it has come up like new! Thanks for the excellent service. The Yacht looks better now than on the day of delivery by the yard, on the areas of most fading the AGlaze team worked tirelessly to ensure we were completely satisfied. Their work exceeded my expectations and I will not hesitate to use them in the future. This is to certify that R.M.P. were contacted by me in February 2004 to refurbish the very dull paintwork on board M/Y Mana. This was carried out in a very efficient, professional manner with the minimum of mess and disruption normally associated with this kind of work. 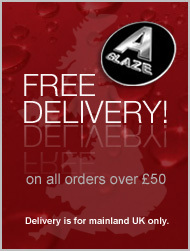 We were very pleased with the overall result with the AGlaze system. Mirabella's hull was no easy task, the paint was old and in a bad condition. However the AGlaze gave it a new lease of life, repelling most of the dirt and grime that would normally have got absorbed into the paint work. We had some problems around the exhaust area due to the age of our paint, but whenever we called up to get advice, they would always come down to the boat to sort it out and get it looking like a new again. I wish to convey to you our heart felt thanks to you and your RMP organization for the treatment which you carried out on our 2 year old Awlgrip paint. Not only have we noticed the ease of cleaning the surfaces but more importantly the gloss is excellent! It looks better than new and we believe it may well extend the lifetime of our paint work for up to four years. We also found your glass and stainless steel treatment miraculous. As you know, I am a hands on Captain on deck too and I vouch and thoroughly recommend any yacht which has plenty of glass and stainless steel structures to have your treatment. We found that the application of the AGlaze system immediately improved the appearance of the vessel. Prior to AGLAZE being applied, the stern areas of TUGATSU had to be re-painted annually, however this year, no such work is needed as the AGlaze system has withstood a busy season and fortunately TUGATSU does not need re-painting, which helps us enormously as the vessel is for sale. Furthermore, the owner is near delivery of a new 72 metre yacht ( M/Y Kogo ), and due to the results on TUGATSU is having the whole yachts new paint protected by AGlaze. During the spring of 2004 RMP MARINE were commissioned to polish and treat Aladina with their AGlaze finishing / protection system. Before they started the gel-coat on the boat was very aged and matt causing us to have great difficulty keeping it clean. After 2 weeks of polishing the finish was almost back to a new condition, the AGlaze system appears to have withstood the elements and cleaning products applied throughout the season. The company AGlazewere contacted to apply their product to the yacht's freshly applied paint, to help prevent soot and contaminates impregnating the already impressive Awl Grip paint system.